It’s a compliment to be called “the salt of the earth”. People use this term when referring to someone who is faithful, full of great character, adds value to others, and uncorrupted. These type of people just give you the warm and fuzzies and you not only want to be around them, but you strive to be more like them. Jesus knew exactly what he was doing by choosing the term “salt” in his teachings. In his time, salt was used as a preservative for meats and other foods. It prevented corruption in the food and allowed it to last much longer. It protected the meat from going bad and rotting, which would then make it inedible. Salt was also used to sprinkle on “grain offerings” made to God in the Old Testament. The truths from Jesus’ teaching then is still applicable to us today, because his word never changes and doesn’t lose its power. Here’s what’s up: We live in a tasteless world. We must bring it flavor. The music blasting from Katy Perry and Kanye West…tasteless. The clothes sold in stores that cut too low and ride too high…tasteless. The books promoting sexual fantasies in different shades of a dull color…tasteless. The television shows glorifying dysfunction, drunkenness, and teen pregnancies…tasteless. The movies targeting women to see how magical Mike’s moves really are…tasteless. Are you catching on? This stuff sells!!! Advertisers know it. Producers know it. Designers know it. Just because it’s out there as the “new normal” and “everybody’s doing it” does not make it OK! Common sense can you tell you if something is tasteless or tasteful. 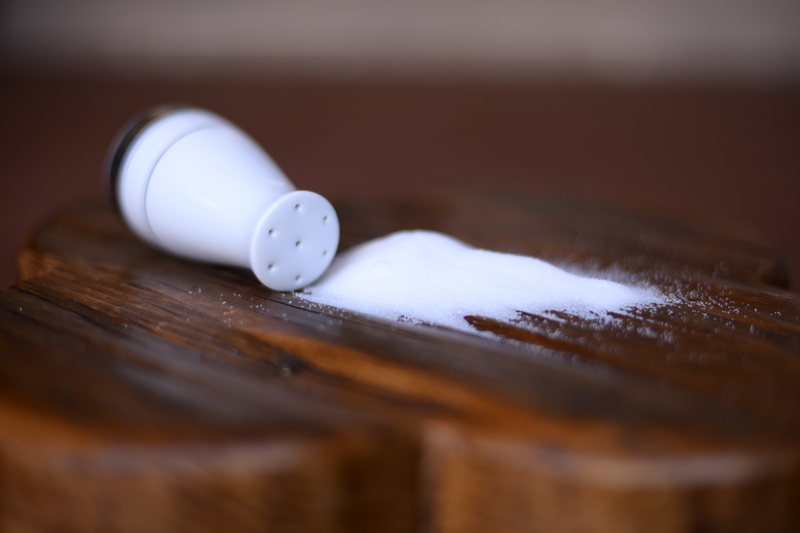 Salt PRESERVES: Am I preserving goodness, honor, justice, mercy, and purity in my culture? Salt INHIBITS CORRUPTION: Am I restraining the culture’s corrupting influences? Salt CREATES PERMANENCE: Am I standing for truths that will last forever or change with what’s acceptable in my day and age? Salt CREATES THIRST: Have I made anyone thirsty for God? Is my conversation “seasoned with salt” or do I overload it with too much and drive people away? God tells us to “season” our conversations with salt. A little salt creates a thirst, a thirst for more. God doesn’t tell us to pour the salt on so thick and heavy that others are completely turned off and never want to try God again! Be the zest and flavor in the world around you. Spice things up a little bit. You don’t have to be tasteless just because everything else is. Be the salt. You are so right! I see girls that are supposed to be Christian and even preacher’s kids that are dressed just like the world! Too short, too tight and too little coverage!